This series has modules that are fast and easy to change. Thin of 120mm can be used. Check our new specification of the FR2 series. The P4.8 is the newest model in the serie of FR2. 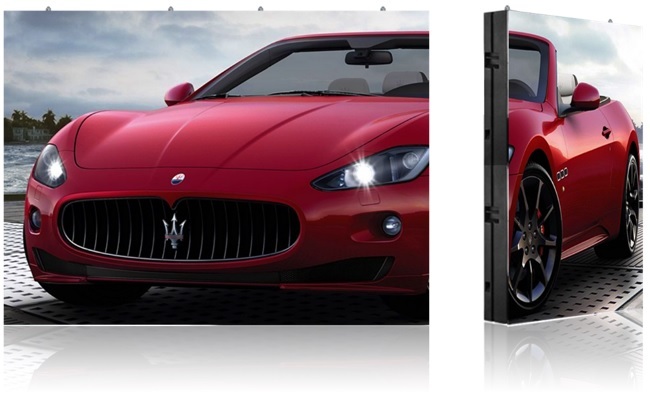 Use this kind of led display for outside solution where only front maintenance is possible. It is also possible to use it for back maintenance. Make it your standard solution so you can use it for all kind of led outdoor solutions. It is also possible that we sell the modules and that you assemble it by yourself since it is very easy . Can I really fully use front service with this product? 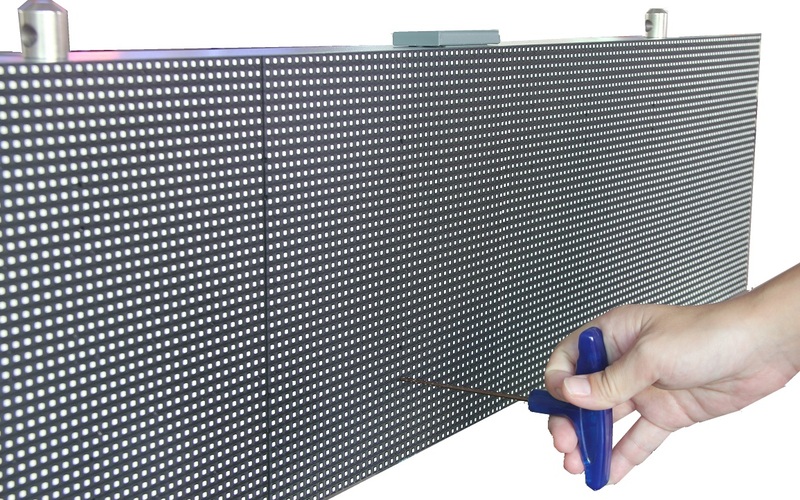 Yes this led display product is made to be waterproof for many years and can replace all the traditional screw solution. 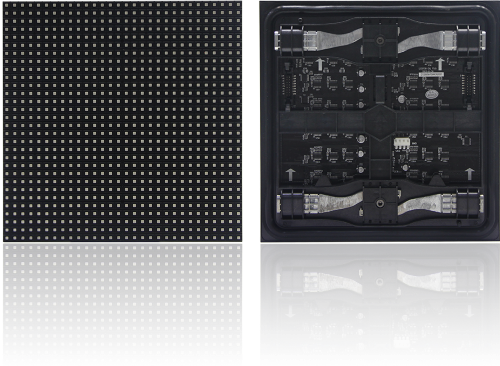 It is front IP65 waterproof and was originally made for sport perimeter solution where the modules needed to be removed in a few seconds from the front or from the back also the flatness must be kept. It is a very stable solution and it is using the small pitch technology of P4.8 which we are the first company with this kind of solution for this kind of pitch. Can I use back service with this product? 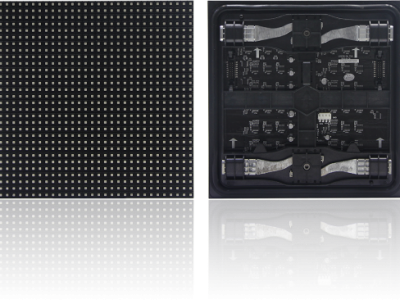 Yes, the led modules are made so it can be possible for service from the front or the back. 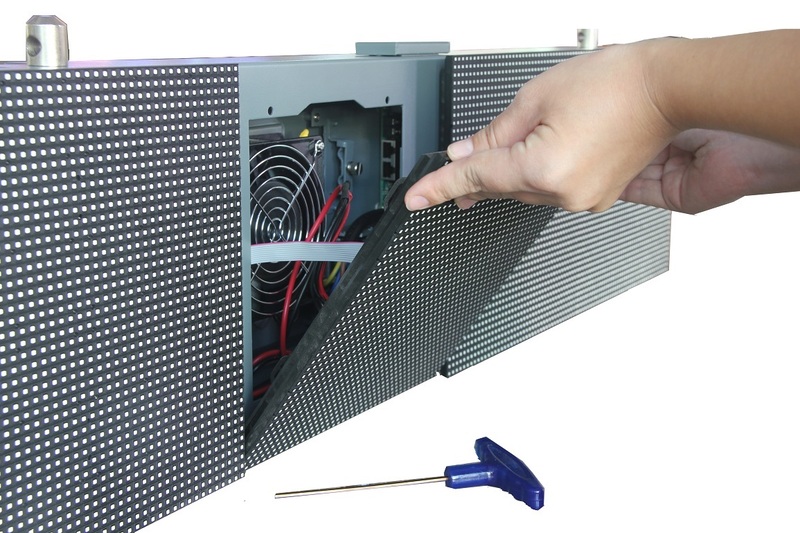 It is extremely convenient also for back service, the classic outdoor display have many problems with the led modules on the corner of the display, which is extremely difficult to repair. This will reduce your work hours. 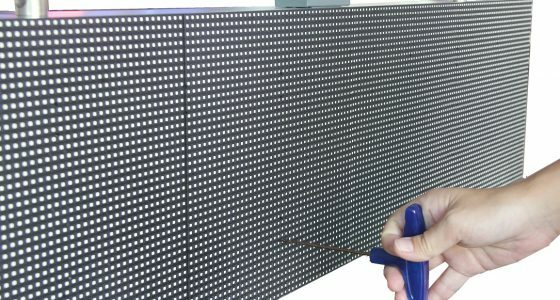 Is it easy to replace the led mdoules? Extremely easy the modules are made with 2 locks. And it will seal the whole led module to be waterproof. It takes 3 sec to open each lock so the led module can be changed in about 10 seconds.